free fishing on our stretch of the Eden when you stay at the Black swanThere are ten named salmon pools all easily accessible, 75% of them by motor vehicle. Salmon have been caught in all the pools in the last ten years, ranging in size from 4lb to 14lb. Fishing depends on water levels and Salmon are likely to be caught at Hagwood from August through to the end of the season (14th of October). 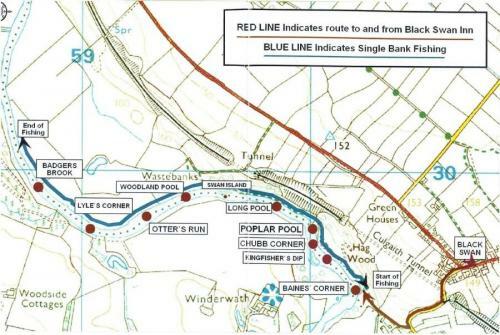 Fly fishing for Salmon is best with water level on the marker at Baines Corner below Sea trout have been known to run this stretch of the river from June until the end of September but are most likely to be landed late evening. The Brown trout fishing season from the 21st of March until the 30th of September and trout can be caught virtually any time of day or night, we like to be sporting and only allow fishing for trout with fly. Various coarse fish can be caught at Hagwood. Quite a few Chub and Grayling have been caught over the years. Fly fishing River Eden and the Lake DistrictWe provide guided fly fishing and tuition/lessons for Trout and Grayling on the River Eden and it's tributaries, the Eamont and Lowther in Cumbria.Based in the beautiful English lakes district, we also cater for guided boat or bank fly fishing trips and lessons on Ullswater and Haweswater. 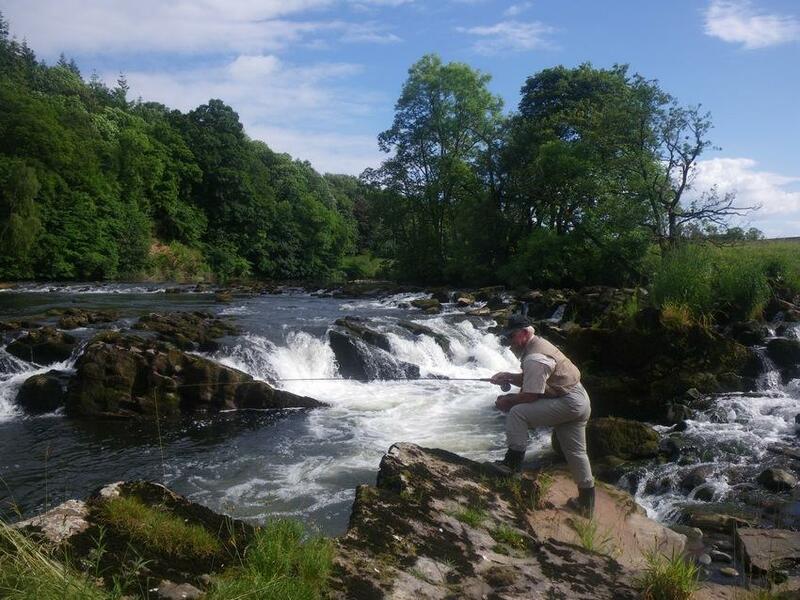 Fly fishing for Rainbow trout on local stocked waters is also provided.These are personalised fly fishing experiences from a fully qualified professional fly fishing guide and instructor based in Cumbria. Anglers of all abilities are catered for:a day on one of our Eden rivers or Lake District waters will be tailored to suit your requirements.Fishing bookings, licences and loan of tackle can all be organised for the visiting angler.